When the time comes in 2019, PM Shri Narendra Modi ji would give account of every penny. But for now, let the people know what you have done for past 60 years,” Shri Amit Shah asked the Gandhi family. Roaring from the home turf of Congress vice president Rahul Gandhi, Bharatiya Janata Party National President Shri Amit Shah launched a scathing attack against the Nehru-Gandhi clan. He said that the ‘first family of Indian politics’ is responsible for keeping Amethi backward since independence. “Rahul baba asks Prime Minister Shri Narendra Modi to give an account of what he has done in past 3 years. I want to tell Rahul baba that entire Amethi wants to know what Jawaharlal Nehru, Indira Gandhi, Rajiv Gandhi and Rahul baba did in past 60 years. Will you give the account for past 60 years?” Shri Shah asked. 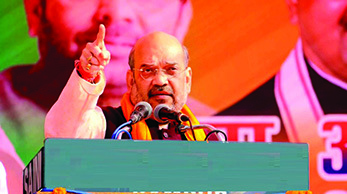 Shri Amit Shah urged the populace of Uttar Pradesh to make a sound political decision, claiming that the BJP, if elected to power, will change the fortunes of the state. “There is no employment, no development, lack of housing, transport and absence of law and order machinery. I appeal the people of Uttar Pradesh. Give us a chance. 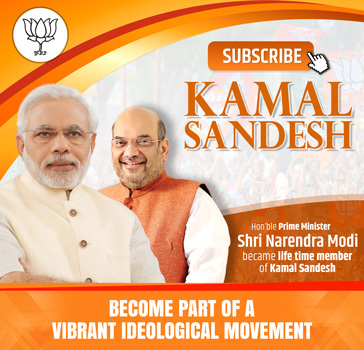 Let a government be elected which would work in coordination with Narendra Modi ji. Whatever scheme we will allot in UP, the BJP state government will ensure its implementation”, he said. The BJP President further added that the upcoming assembly election is the only opportunity to break away from nepotism and casteism in UP politics. People of UP should reject them and vote in favour of development, as envisaged by Shri Narendra Modi, he added. BJP President Shri Amit Shah on 15, February in Sambhal continued his attack against Rahul Gandhi and Chief Minister Akhilesh Yadav, saying Uttar Pradesh was fed up with both of them. Accusing rivals SP and BSP of gundagardi (hooliganism) in the state, BJP president told that the day BJP party comes to power “koi gunda Uttar Pradesh ke andar nahin bachega… sabko ulta latka kar seedha karne ka kaam yeh BJP karne wali hai (no hooligan will be left in Uttar Pradesh… the BJP will hang them upside down to set them right)”. If you go SP, Azam Khan and Atiq Ahmed are already there. If you go to BSP, Naseemuddin (Siddiqui) is already there and now Mukhtar Ansari and Afzal Ansari too have joined. Where are the people of UP supposed to go? On the one side, there is an abyss, on the other a well. But there is no place for hooligans in BJP, Shri Shah said. Shri Shah said, “Yeh Afzal hon, Mukhtar hon, yeh Atiq hon… BJP aayegi… mein batata hun… koi gunda Uttar Pradesh ke andar nahin bachega… sabko ulta latka kar seedha karne ka kaam yeh BJP karne wali hai”. On the issue of slaughter houses, he said the day a BJP chief minister takes oath, an ordinance will be brought before midnight to shut down slaughter houses across UP. He said the BJP “does not want the blood of cows, buffaloes, oxen to flow in Uttar Pradesh… we want rivers of ghee and milk to flow”.